Kallaji Fair is Coming on October Month Every Year in Beneshwarv Rajasthan. 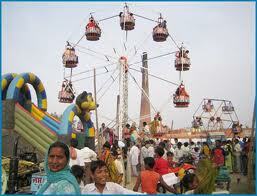 Kallaji Fair is the annual fair in the Banswara district of Rajasthan. The fair is very popular among the local people of the area. It is usually held on the first Sunday of Navaratri. During the fair, a large number of tourists visit this place to witness this colorful event. The fair also has a multiple venue as it is held in the Gopinath ka gadha, Padoli Govardhan and Bodla area of Banswara district of Rajasthan. The Kallaji Fair is a great event to visit in Rajasthan as it reflects the rich tradition and culture of the place. During the fair, a number of cultural programs are organized. This is a nine day fair that is dedicated to the Kala deity. Tourists visiting this fair enjoy their outing thoroughly as they get a close look of the rich culture and tradition of the place. Jaipur to 527 Km By Bus and Private Transport.From Udaipur 165 Km.From Chittod Gadh 185 Km. in Rajasthan. Ratlam Junction (80 KM) is the nearest Railway station to Banswara and it is the Major Junction to go to Delhi, Mumbai, Bhopal and Ahmedabad. Udaipur (160 KM), Indore (MP) (212 KM) & Ahmedabad (Guj) (285 KM) are the nearest Airports.